My name is Bryan Ring. I am 41 and happily married with five children.Living in the burbs. 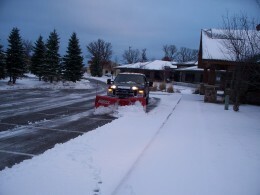 Owner of Ring Lawn Care a landscape company located 30 miles east of Minneapolis, Minnesota in Stillwater. Interests: I love laughing my azz-off with my wife! Even though the Minnesota Vikings just absolutely stank this season, we are CRAZY fans! Update: Jared Allen is on our team, now the Vikings all-time single season sack leader and 2nd of all-time. My hometown of (Soufside) Minneapolis, Minnesota has made me who I am today. As a youth running the streets to owning a landscape company, building small business websites to now writing? 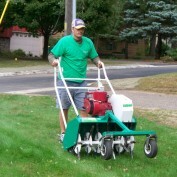 There are many ways to improve your lawn care business during the off-season that are often over-looked or not known. During the season the money is great and sometimes plentiful.